The best guidebook for those who want to experience the finest art in New York. The first fully illustrated guide to the collections of New York's Museums and Galleries that actually works the way people like to see art. Rather than taking the old fashioned approach of listing the city's various museums and then describing highlights, this book focuses on the art. Arranged chronologically from ancient art through today, the book is part guide and part art history - each section is devoted to a certain period, and then highlighted where the best works of that period are to be found. Rather than spending an entire day at the Metropolitan Museum with its overwhelming collections, this book allows you to choose one period, style or individual artist and trace a tour through the city finding all the relevant masterpieces - museum by museum, gallery by gallery. 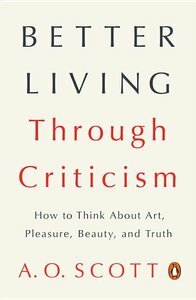 This truly innovative organization mimics the way most people actually prefer viewing art and will make this guide the must have for any art lover - whether you are a beginner or a longtime connoisseur. This is the first city guide book to focus solely on those who travel to see great art - both classic and contemporary. The book is organized roughly chronologically into 25 chapters sorted into three sections - Early Art (ancient Egyptian, classical antiquity, medieval art), the Western Tradition (Northern and Southern Renaissance, Golden Age of Dutch Painting, Realism, Romanticism, etc. ), and Modern Art (Impressionism, Fauvism, Expressionism and up to today's contemporary scene). A fourth section provides references including maps, indices of museums and artists, and other helpful suggestions for navigating the city and finding the art masterpieces of you seek. To an outsider, working as a university professor might seem like a dream: summers off, a few hours of class each week, an exchange of ideas with brilliant colleagues, books and late afternoon lattes. . . . Who wouldn't envy that life? But those in the trenches of academe are well acquainted with the professoriate's dark underside: the hierarchies and pseudo-political power plays, the peculiar colleagues, the over-parented students, the stacks of essays that need to be graded ASAP. No one understands this world better than novelist Julie Schumacher, who here provides a bitingly funny distraction designed to help you survive life in higher education without losing your mind. 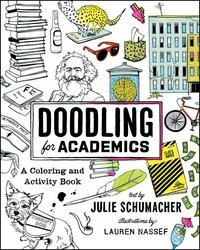 Sardonic yet shrewdly insightful, Doodling for Academics offers the perfect cognitive relief for the thousands of faculty and grad students whose mentors and loved ones failed to steer them toward more reasonable or lucrative fields. Through forty pages of original illustrations and activities--from coloring to paper dolls to mad libs--this book traces the arc of a typical day on campus. Get a peek inside the enigma of the student brain. Imagine a utopian faculty meeting. Navigate the red tape maze of university administration. 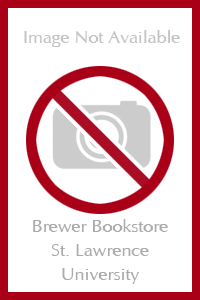 With the help of hilarious illustrations by Lauren Nassef, Schumacher infuses the world of campus greens and university quads with cutting wit, immersing you deep into the weirdly creative challenges of university life. Offering a satirical interactive experience for scholars, the combination of humor and activities in this book will bring academia into entertaining relief, making it the perfect gift for your colleagues, advisors, or newly minted graduates. Painter of the loneliness of big-city people Edward Hopper (1882-1967) is considered the first important American painter in twentieth-century art. 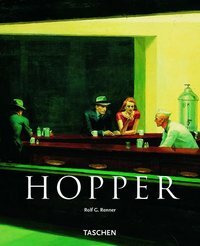 After decades of patient work, Hopper enjoyed a success and popularity that since the 1950s has continually grown. In canvas after canvas he painted the loneliness of big-city people. Many of Hopper's pictures represent views of streets and roads, rooftops, and abandoned houses, depicted in a brilliant light that strangely belies the melancholy mood of the scenes.